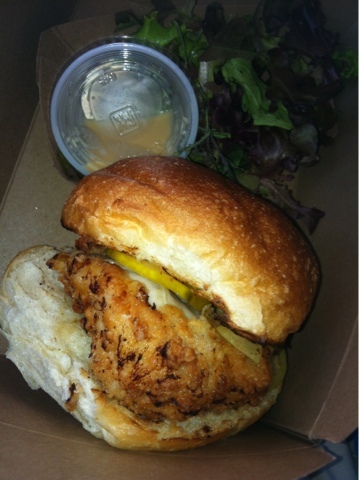 Took a nice trip by ferry to Smorgasburg at DUMBO last Sunday. 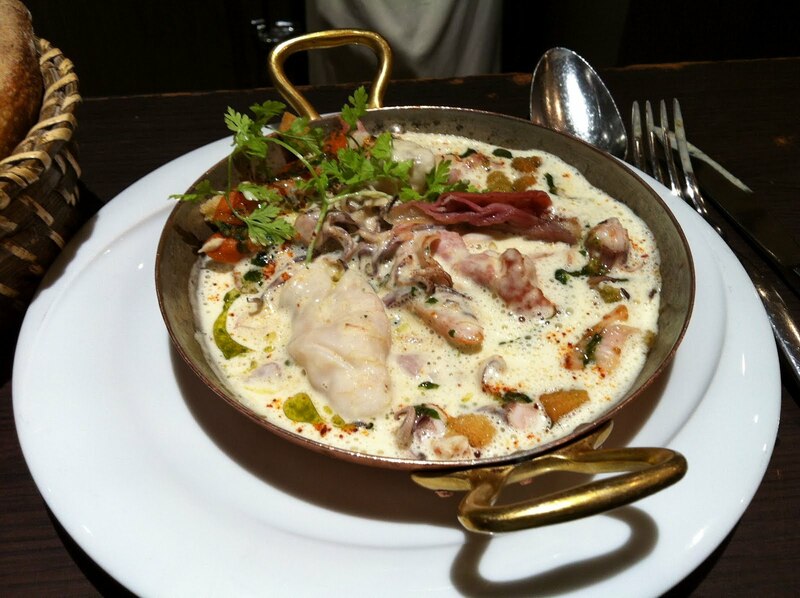 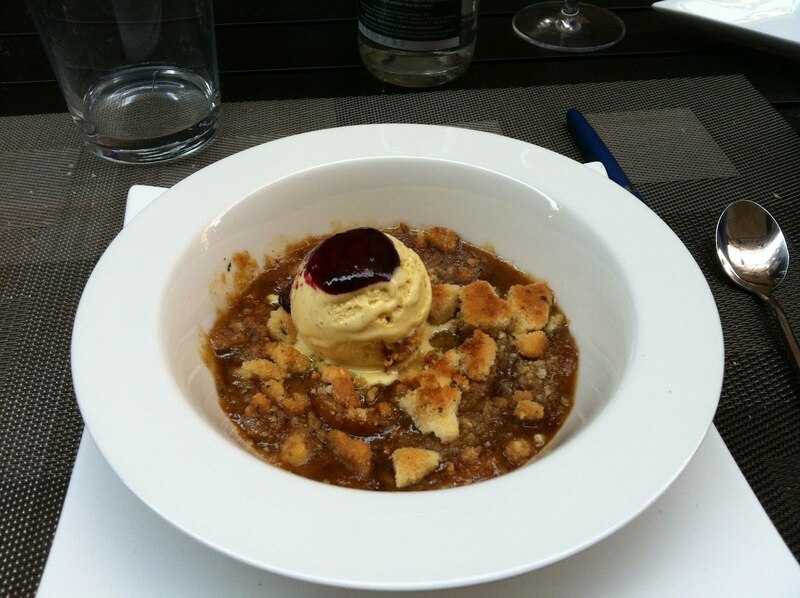 A trip to Paris isn't complete without a walk to Maison Berthillon on the Île Saint-Louis, a short distance from the La Cathédrale de Notre-Dame de Paris. 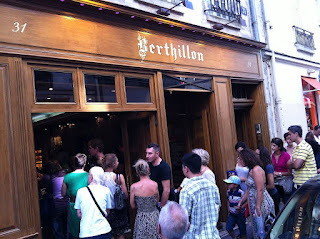 Although there are many 'revendeurs' on the île and in Paris that resell Berthillon , I prefer to get mine directly from makers. 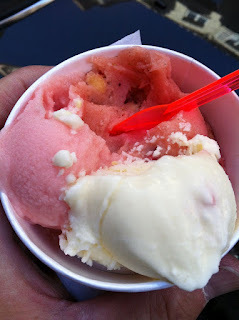 Today, I chose pamplemousse (pink grapefruit); fraises des bois, (tiny wild French strawberries) along with noix de coco (coconut). They all tasted like their name. The grapefruit was especially good. After a medical emergency forced the temporary closing of the beautiful Piscine Keller I decided to rent a "Velo Libe" and head over to Yves Camdeborde's Le Comptoir on rue de l'Odéon just off Boulevard Saint-Germain. 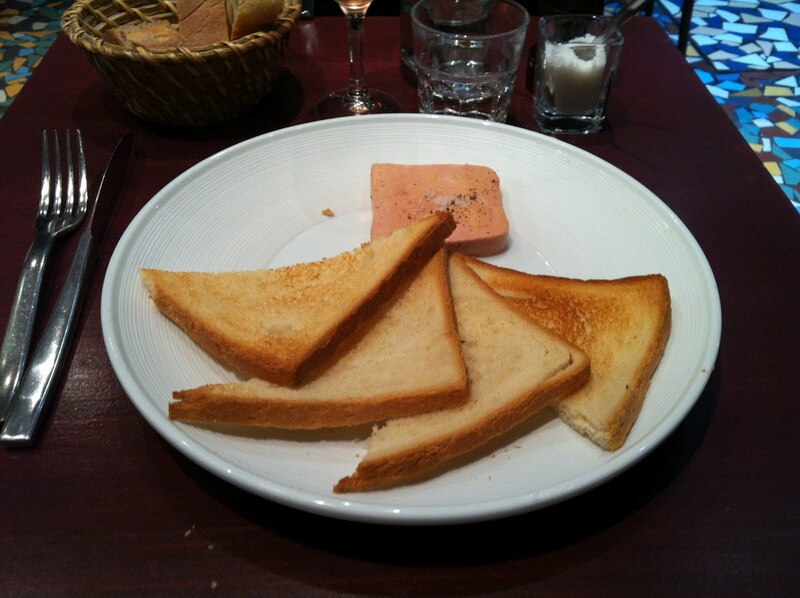 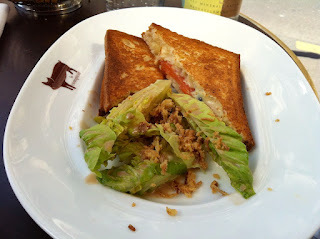 I started with a croque monsieur au saumon fumé. Normally I don't like smoked salmon cooked but this was delicious. Perfectly grilled, cheesy, not too greasy. 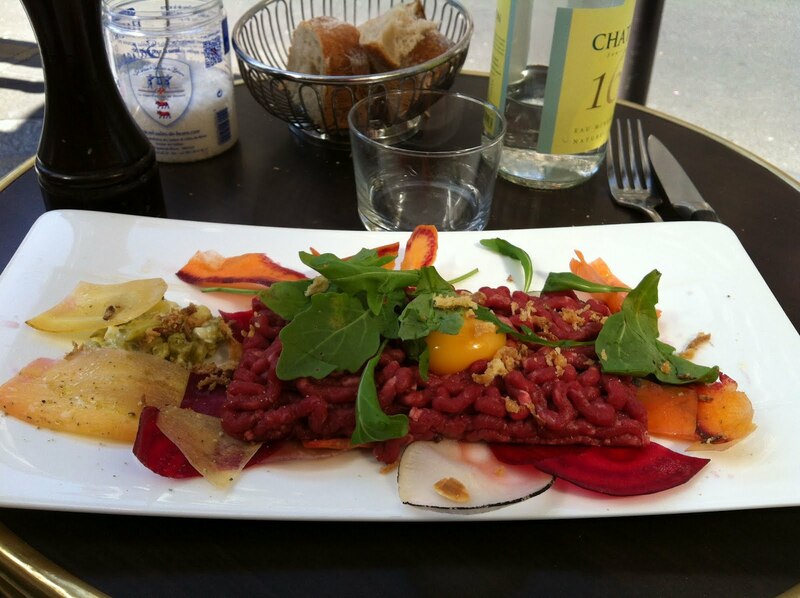 Next I had the tartare de bœuf (his way) which replaced the usually french fries or roasted potatoes with some cold, crispy vegetables. These made it a little bit 'lighter'. 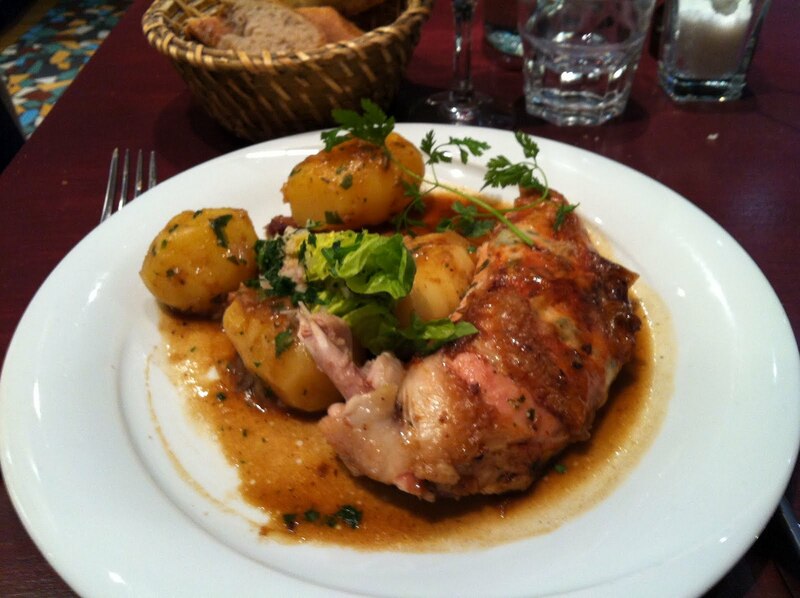 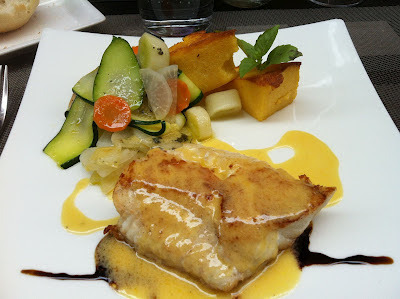 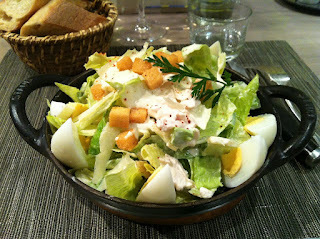 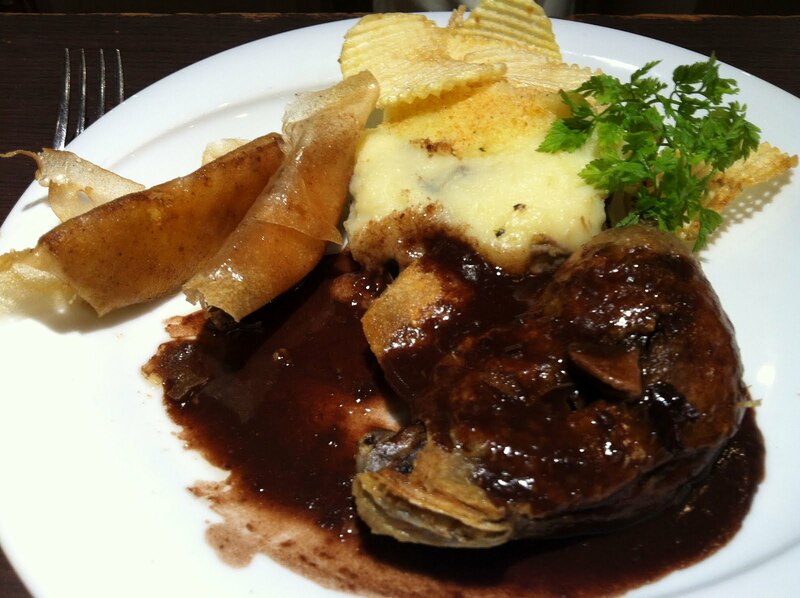 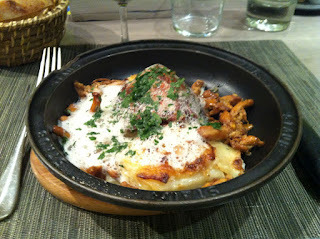 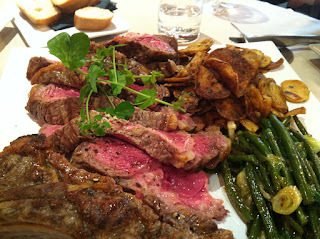 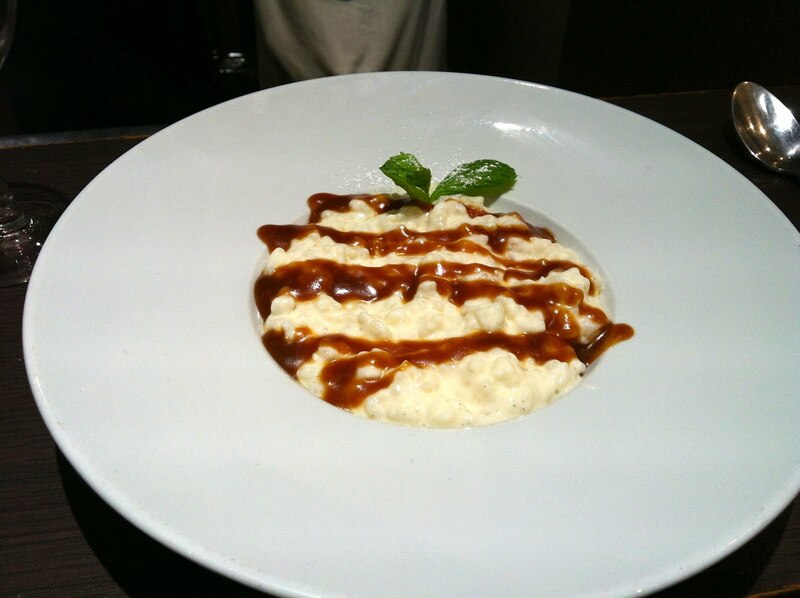 Had a very nice lunch at La Table, in Perpignan. 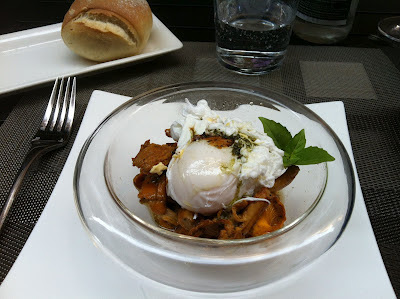 L'oeuf polle poche aux girolles fraiches; filet du loup and 'crumble' aux mirabelles.